Blurring the boundaries between art, architecture and garden design, the contemporary garden has evolved out of modern, urban issues and lifestyle demands. 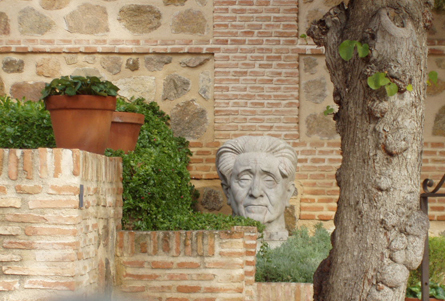 The garden is seen as a retreat for revitalising the senses. Water is used for its calming effect and sculpture as decoration. Furniture is often built-in and multi-functional; designed for lounging, eating, relaxing and storage. Exterior spaces are treated as an extension of the home. Particular attention is paid to a smooth transition between the indoor and the outdoor areas; using similar materials and colours, especially on the ground plane. Inspiration is drawn from formal gardens. Lines are strong and usually geometric but the design is twisted asymmetrically to create a unique space. 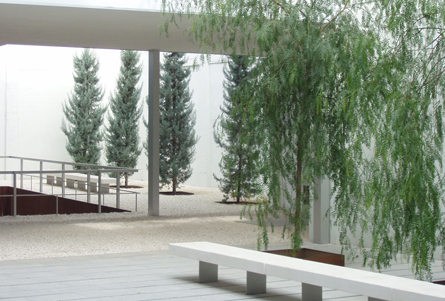 Planting is structural and used to offset hard landscape materials and the architecture of the house. Access to new technologies allows a range of materials to be used in innovative ways. Concrete, plastics, recycled products and metals are used for walls, furniture and floors. Plants are used in vertical gardens, green walls and interior installations. Strappy leafed and spiky plants are used as accents in planter boxes or large ornamental pots. Surrounding plantings are simple and often massed to form a backdrop. Trees are used sparingly, and again as a feature. 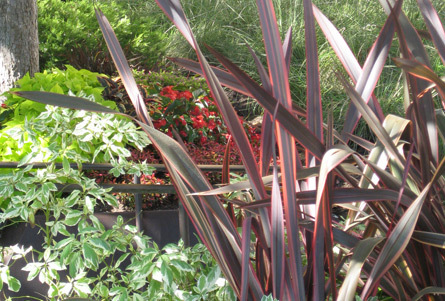 Bright red, purple, black and variegated foliage plants are grouped and used to contrast with each other. Flowers are less important; with the focus on a plant's foliage colour, form and texture. Plants in a contemporary garden are used less as of an imitation of nature and more as an expression of creativity; not as just filling a garden bed but as sculptural elements in their own right. 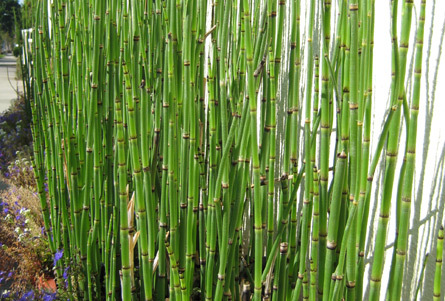 Use the Plant This Plant Selector to choose plants for the contemporary style garden.